LED walls are being designed with increasingly better pixel pitches, meaning the LED pixels are closer together, creating a higher quality image. Here at The AV Company, we've recently upgraded our LED panels to a model with double the pixel pitch of our original video panels - and we're really excited about it! Video panels offer crisper & brighter images and take up less space in your venue than a projector & screen. They also don't require an area of unimpeded space in front of the screen - as a matter of fact, they actually make great backdrops for your speakers, without sacrificing a high-quality picture. Paired with powerful visuals, LED walls create an impactful first impression, doing the jobs of both a video display & set decor at once. One valuable feature of LED walls is their modularity. LED walls are often made of up panels that are a few feet wide, and they do not have to be configured in one solid rectangle. Most LED walls can also be arranged in a curved or even serpentine formation! There are many possibilities for how they can be arranged, providing you with the ultimate flexibility in your set layout and allowing you to create a display that is truly unique to your event. These days, LED walls are being used not only for primary screens & staging, but also as a source for video content in secondary event spaces like lobbies & exhibitor spaces. LED walls make great displays for event schedules, maps, sponsorship placement, et cetera. If you can keep the high-tech vibe & stunning visuals going throughout the entire event space, you'll create a more immersive & memorable experience for your attendees. LED walls are continuing to evolve to better meet the needs of event planners & coordinators, and we look forward to helping you harness the power of these exciting tools to create more engaging events! Stay tuned for more profiles on event trends in the coming weeks! Getting your audience involved in your event doesn't have to be complex or difficult, and it can be a great way to keep your attendees connected to & engaged with the content. And audience participation has come a long way! As new event technology develops, participation methods have become more effortless and often integrate devices that the audience is already familiar with (and possibly carry around in their pockets). Let's look at how audience participation tech has evolved over the years! Say you wanted to pose a question to your audience. The old school method would be to ask the question, and either call upon attendees who had raised their hand or have attendees line up at a microphone to give their answers. These days, there are apps like UMU which allow attendees to type out answers on their mobile devices. Not only is this a way to gather more information in less time, but it also allows event team members to review the answers in real time and pick out the most relevant or interesting responses to share with the audience. Or say you wanted to take a poll! In past years, you might have rented & passed out dedicated "clickers" or response devices that relayed answers back to a receiver and, depending on the software that accompanied the clickers, the answers might be displayed in a clunky fashion or in small type in the upper corner of the content window. Today, there are a variety of economical polling apps that can also be run from attendees' mobile devices, with easy-to-read results displays that can be pulled up in a browser. Perhaps you wanted to do a giveaway at the end of your event. Apps to the rescue once again! Instead of using physical raffle tickets, you can use an app like UMU to collect entries and randomly select as many winners as you like. 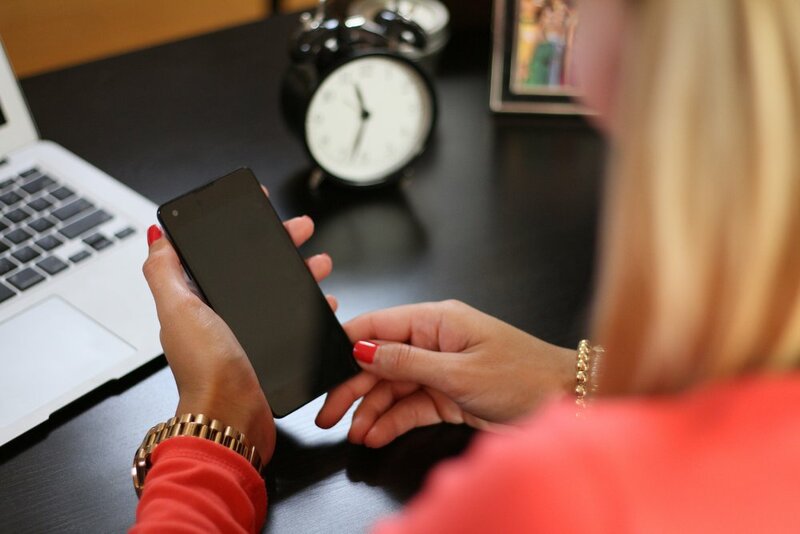 Recent participation technology also opens up doors for new types of engagement! If your event spans multiple locations, you can also use two-way live streaming to encourage live audience participation between locations! 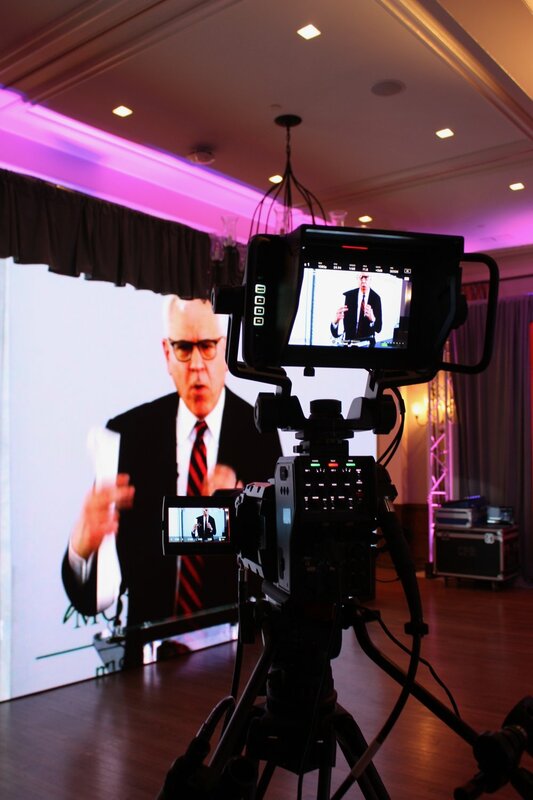 We recently worked on an event that was being simulcast between two different cities, with speakers presenting from both locations and large audiences attending each. To bring the energy back up after breaks, we set a camera on the audience and each location did the wave as the other watched, getting everyone pumped up for the next session. It was lots of fun, and the audience loved it!